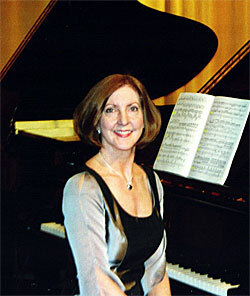 Donna initiated piano studies at age eight. By age twelve, she was completely absorbed in her music, and it was clear that her life would be devoted to such. She moved on to study trombone, euphonium, melodic percussion, and organ. Her solo piano career began at age fifteen when she started performing publicly. By seventeen, she had begun accompanying community theater productions and presenting formal recitals. She went on to earn a Bachelor of Music degree from Nicholls State University (Louisiana) and a Master of Music degree from the University of New Orleans. She enjoyed a long career as a faculty member of the School of Performing Arts, Department of Music at Nicholls, where she taught piano and served as Staff Accompanist. She now maintains a private piano studio where she teaches students of all ages, and is the organist/pianist for the First United Methodist Church in Houma, Louisiana, USA. P&J is honored to be able to have captured these beautiful performances on her recordings.